One hundred years ago this week, the Irish Industries Fair was opened in Cork City Hall on Thursday 24 April 1919 by the Lord Mayor of Cork, William O’Connor. The fair was called Tír na nÓg and was an exhibition of Irish-made goods and the display of the manufacturing abilities of the country. It aimed to introduce to the public and to celebrate several commodities from the Irish art and craft movement. All were embedded in every-day life such as dress fabrics, household goals, ornaments, metal work and articles in general demand that were made at home and which gave good employment throughout the country. The editorial in the Cork Examiner lamented that whilst Irish products and manufactures had much success in markets in many other countries, it was still necessary to convince the wider general public to support the brand of “Déanta in Éireann”. 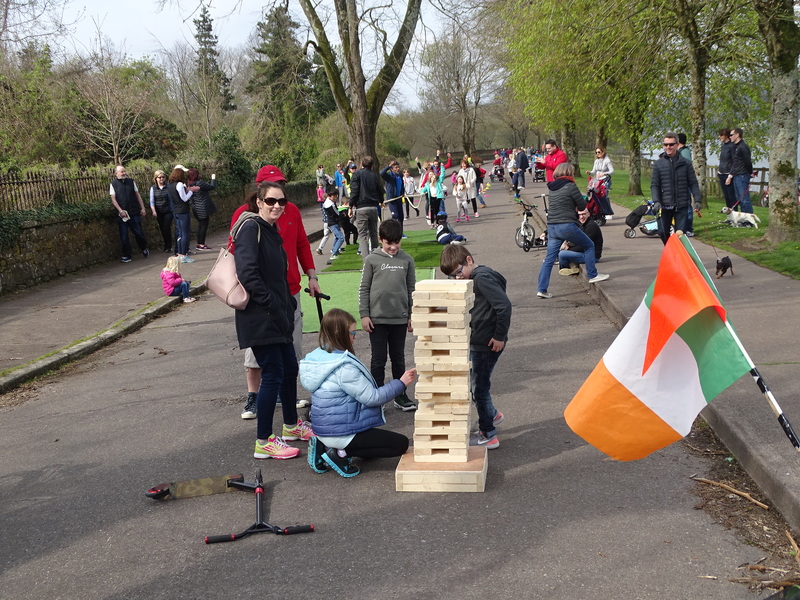 The fair also had a light side in terms of several well-arranged features of Irish culture such as fete bands, choirs, concerts, organ recitals, dancing, and swing boats. The Lord Mayor, William O’Connor, in his speech spoke about the object of the fair and potential lessons from it in promoting all Irish manufactures; “There is a splendid object lesson in the bazaar. Everything is Irish; every single article in the bazaar is an article of Irish manufacture. That condition spoke well for the future of Cork and for Ireland because it shows what Irishmen can do in their own country. Another object of the fair is to cultivate as it were a desire in the public mind to seek article of Irish manufacture, and secondly, to provide funds for the Cork IDA”. The fair was organised by the Ladies Committee of the Cork Industrial Development Association. The concert hall of the City Hall was the venue for various stalls strewn with bunting and decoration devised by Mr P W Daly, a scenic artist. Each side of the hall was walled off with canvass, and this was cut, shaped and printed as to give to each stall a well-defined appearance of a shop or several shops in a thoroughfare. On the stage tea gardens were laid out. The vestibule was given over for amusements. At the organ end the lace and poplin stall was erected in the form of a kiosk. In front of this were two ladies with machine knitters making the famed Duhallow hosiery. The Duhallow factory had only been in operation for one year but was known for its high reputation. Across the various stalls, drawn prizes were given to spectators, which also put a focus on high quality Irish crafts. In the woollens section, a special prize was drawn for a costume length of Irish tweed. In the tobacco section, a prize of Peterson patent pipes was up for grabs. In the arts and toys section, a special prize of Irish-made dolls in costume were given away. At the furniture section, a special prize of a mahogany Sheraton kidney shaped writing table with a leather top. In the chandlery stall, a special prize of Irish cutlery was given to a member of the public. In the Irish publications section, a prize of one copy of O’Neill Lane’s larger English-Irish dictionary was given out. In other stalls, Cork made candy and confectionary were for sale. 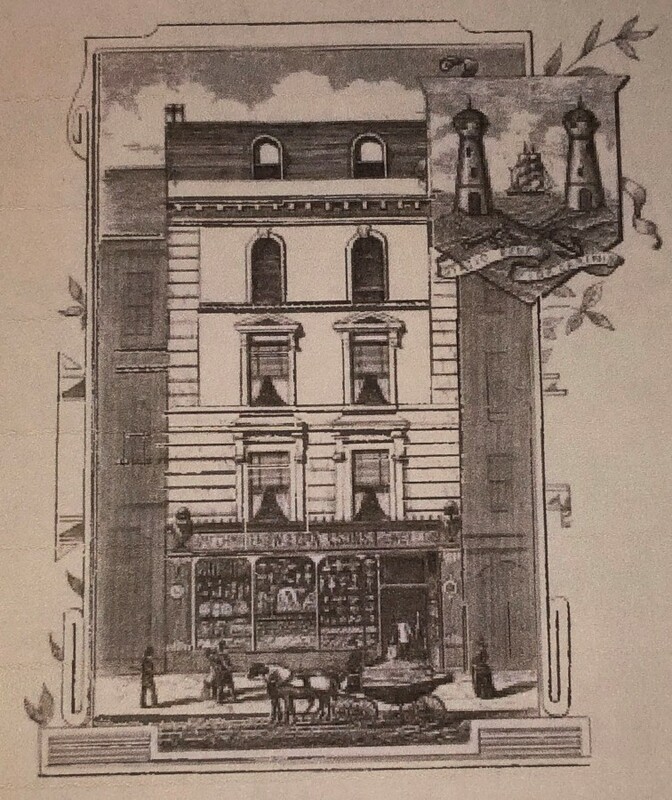 Messrs Musgrave showed sweets manufactured in Cork and an interesting display of the goods of this well-known firm of wholesale and retail grocers and provision merchants. There were also exhibits by the municipal schools of Art, Commerce and Technology respectively. The Glengarriff Lace Class of West Cork showed some exceptionally fine samples. Mr Hogan, cabinet maker. Cork put on display several mantlepieces made by him. Messrs William Egan and Sons Ltd, jewellers showed magnificent specimens of the splendid work done in their silver factory. The premises occupied by Egan and Sons on St Patrick’s Street comprise two magnificent adjoining shops (both burned down in the Burning of Cork in 1920) – the one at no 32, being devoted to high-class art jewellery, gold and silversmith’s work, and watchmaking; the other being occupied in connection with ecclesiastical furnishing, vestment manufacture, and embroideries, appointments, and sacred utensils of every description. The shops were lit by electricity from dynamo and storage battery power, supplied by a 6-horse power gas engine on their premises, which was also used for the silver-plating factory. The Lee Boot Company Ltd, another Cork factory, created a special exhibit. Set up by Dwyer and Company, the Lee Boot facility was one of four boot factories in Cork by the 1890s. The industry was highly mechanised and very successful for many years. Footwear production was based on the tanning and related industries in the city. Previous to and after the opening of the fair Professor Gmur of the Cork School of Music gave a selection of Irish melodies on the organ, which were appreciated by the public. The items galvanised even further the promotion of the Irish cultural elements of the fair. The pieces included The Maid of Castleraigh, May Day (a hornpipe), Cradle Song, Ancient Clan March, The Last Rose of Summer, Who Fears to Speak of 98? There were also choral items in Irish by the Gaelic choir of the North Monastery. In the evening the fair was well patronised. Special features were the band selections by the Butter Exchange Brass and Reed Band and the Volunteer Pipers Bard. A speech was also made by Sinn Féin MP Liam de Róiste who spoke about the importance of promoting Irish culture especially the Irish language. 993b. Sketch of Egan’s Shop, 32 St Patrick’s Street, c.1892 (source: Cork City Library). Congrats on the fiftieth annual general meeting. Fifty years of service to the general public is a great legacy to have in Ballinlough. The association since then has witnessed a market garden suburb of the city transform into a vibrant what I describe as a small town with a number of key foci like this community space. Way back 51 years ago at a meeting on 23 April 1968 a committee was elected, and it adopted as its objectives the provision of playing fields, a swimming pool and a community centre with facilities for young people. This evening we once again reflect on the committee – John Hogan, Dermot Kelly, Jerry Coakley, Michael Collins, Michael McCabe and many more who threw their weight behind the concept of a new association. Indeed, for many years the credit union and the community association shared the old Thornhill House as their headquarters where the first AGM was held. In the year 1969 the fledging Association bid fairwell to its elder Canon Michael Fitzgerald and embraced the eminent Canon James Horgan, whose service lasted for 8 years and whose remains are buried in the church grounds. He came to our parish with a strong reputation in 1969 a man of many achievements. Wherever he was stationed he spent all his life encouraging people “That nothing is impossible”. While serving in Bantry parish in the 1940s he became famous for helping and inspiring people to build Bantry Boys’ Club, which still stands proudly in his memory. He was inspirational and led by example. He would take his collar off and physically get involved, mixing concrete, or laying blocks. Nothing was impossible to the man. His reputation preceded him and when he was transferred to Gurranabraher Parish he continued to lead by example. He encouraged all voluntary helpers to give of their time and skills to build the Gurranabraher Parochial Hall. By the time he reached Ballinlough Parish his health was not good, but his legacy lives on with the Canon Horgan Youth Club. Across the road from the church in 1969, a rebranded fish and chip shop was opened. Frances Kelleher had completed institutional management in college on Cathal Brugha Street in Dublin and was interested in catering. The fish shop before her was owned by Haulie O’Driscoll and in time he rented it to Frances’s sister, Eleanor, who ran it. When Eleanor got married, Frances took it over the business. The late John Barrett of the Orchard Bar suggested she should open a fish and chip shop. There were only 4-5 of them in Cork. She started with a small loan from the bank and with just a tiny little fryer in the front with one pan. As the business was expanding, two years later she contacted people in England about buying a new and larger fryer. She kept adding new foods to the menu to have it different from other chip shops. Most importantly it was a regular customer who suggested the name for the shop, The Golden Fry. As for John Barrett by April 1969 he was finishing his first four months of having a new squash court attached to the Orchard Bar. In December 1968, the Lord Mayor of the Day, Cllr John Bermingham opened a new squash court at the Orchard Bar in Ballinlough. The game of squash had increased in popularity to such an extent that courts were soon built at GAA clubs and other venues, while the old Court at Fermoy was brought back into use. The Club committee of Cork Constitution (whose pitches had opened in 1953) had envisaged having a spectator stand on the south side of the main pitch and this came to pass in 1969. It incorporated seating for 300 spectators and, underneath, two dressing rooms, showers and toilets. It was built at a cost of £5,000. The stand was named in honour of former club and IRFU President Dan O’Connell, who had died in January. He had been an officer of the club for some 24 years and in his capacity of honorary treasurer had been a major fundraiser down the years. On the occasion of the official opening on 14 December 1969, Constitution played an International XV containing the stars of the day including AJF O’Reilly, Mike Gibson, W J McBride and Syd Millar. Another asset in the area was the growth of the Catholic Boy Scouts of Ireland (CBSI). Years ago Walter (Wally) McGrath, a well known personality in Cork, started a number of scout groups in the mid 1960s, Ballinlough being one with Fr Michael Crowley (now Canon). The group consisted of Beavers, Cub Scouts (Macaoimh), scouts and venturers. 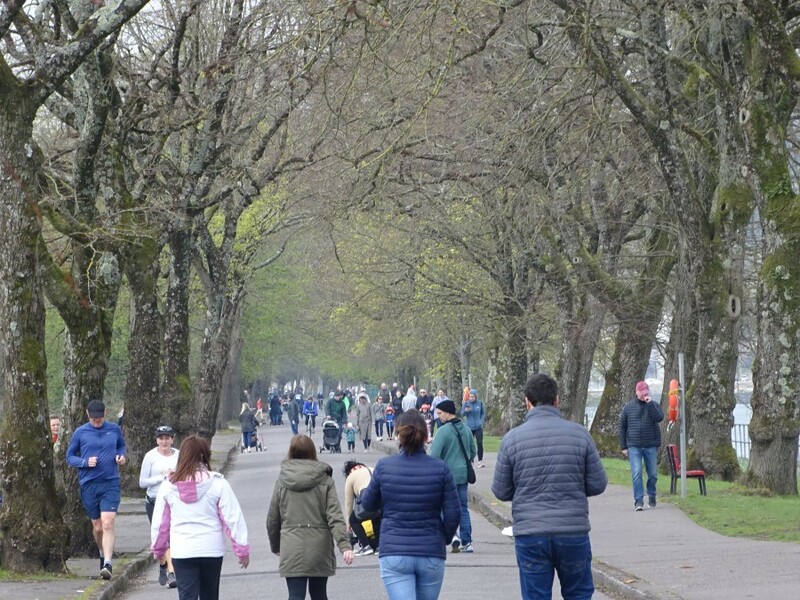 It originally started with scouts in 1963 (38th Cork) and split into two groups, 38th and 40th Cork. In 1969, the cub scouts started with the Beavers following in 1987. On another cultural side Bernard Curtis of this parish and principal of the School of Music will always be especially remembered as a pioneer in recognising the importance of, and then helping to introduce to Europe, the Japanese Suzuki method of teaching strings. On retirement in 1969, Bernard supported the ambition of two of his teachers, Renée and Denise Lane, by persuading primary school principals to allow them teach Suzuki violin in several schools during school hours – eg the ten-year old Eglantine School. He even sourced funds from his own family to help buy the first tiny violins. Bernard also supported Professor Fleischmann’s International Choral Festival and his expertise contributed greatly to its development. Indeed, fifty years ago, there was much vision, belied and “we will do” attitude” and these are elements which need to be remembered and championed going into the future. These are the foundations of building community capacity going forward. 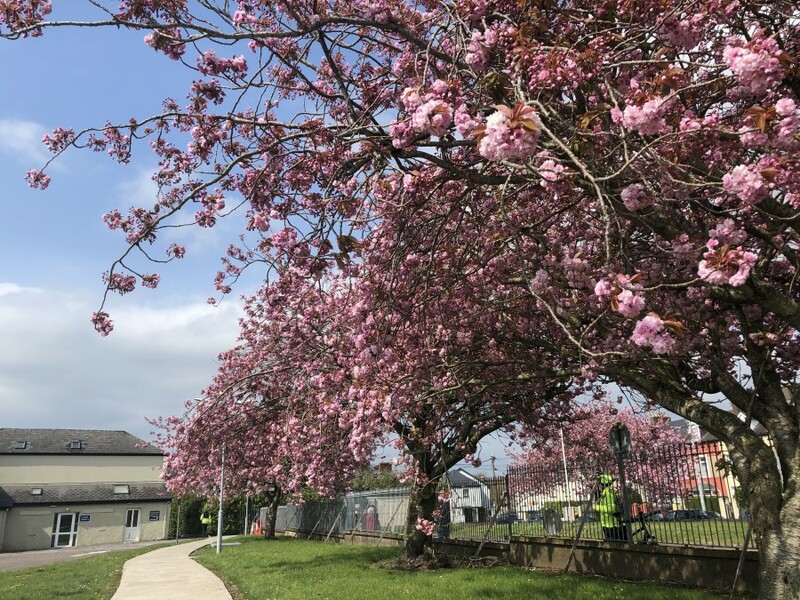 The roots of all these seeds from fifty years ago – the community association, community activities- like the roots of the beautiful blossom trees, which are flowering across our community run deep. The weight of history, past events, glory days, the voices and stories of thousands of individuals who have come through the driveway gates of houses, our schools, our community groups are all important to this area’s identity and sense of place The energy and aspiration of fifty years has survived into our time inspiring many community leaders in our time and they have the potential to inspire more. 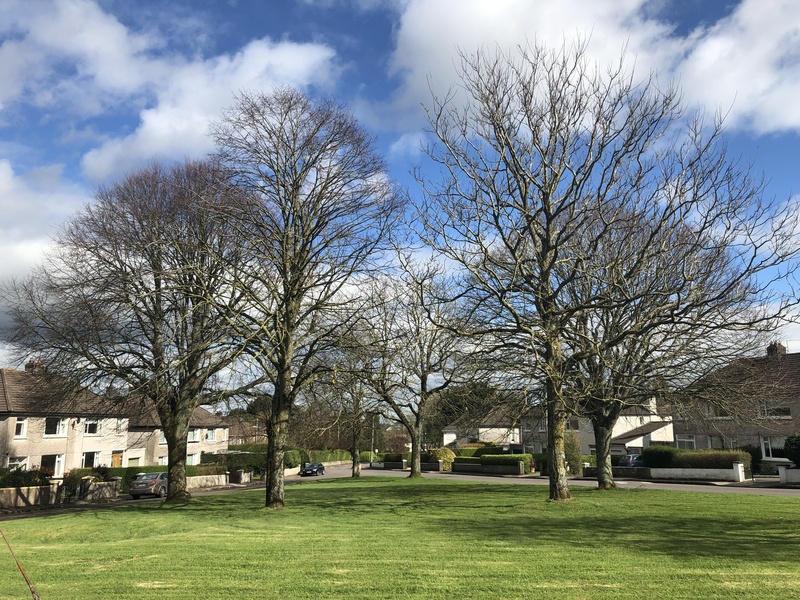 In my canvass at present it is very heartening that the older people are being looked after by family and neighbours but do yearn to have a chat to people. 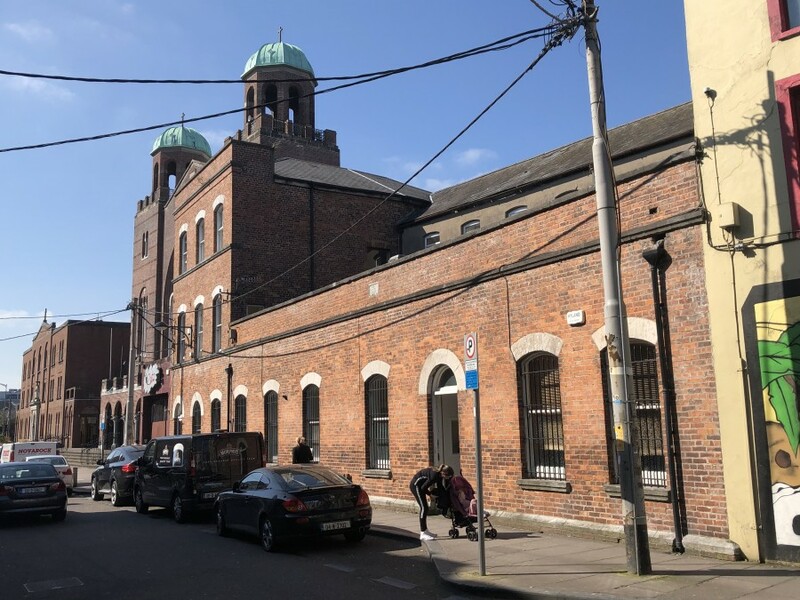 The feedback I am getting is that there is certainly a need for a drop-in centre once a week or fortnight – perhaps in this building or in the church. There is certainly a need to hold and continue the work of the Meals-on-Wheels, the bowls Club, our tennis club, and the work of our youth club. The lack of volunteers coming forward is always apparent; we also need to have a chat to the secondary schools on the parish’s borders to build a new audience as such of interested volunteers. As I enter the last few weeks of my Council mandate for this term, I wish to thank you for your continued courtesy. I have really enjoyed the collaborations on some of the projects attached to the Association here. You always learn something new about yourself in Ballinlough, indeed here is a place where you get stopped on the road for a chat, are challenged, encouraged, supported, helped and always pushed! The local history column in the Cork Independent, which presents its 1,000th column in 7 weeks, in the 22 books I have been lucky to be published. The Little Book of Cork Harbour is the latest book on the market two weeks ago. The activities of Cork City Musical Society enters its fourth year. 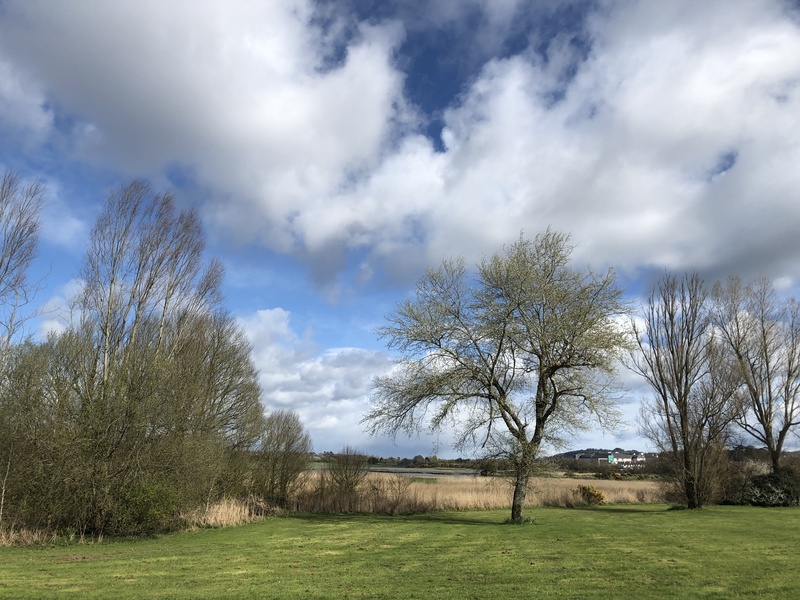 Best of luck in the year ahead – the more optimism and solutions that are radiated from this hallowed community space and grounds the better in these times. In these AGMs, there should always be the sense of thanks and renewal of spirit. That speed controls be put in place at either side of O’Driscolls shop on Ballinlough Road. It is a congested area with cars and delivery trucks parked and lots of pedestrians crossing over and back from the shop all the time. 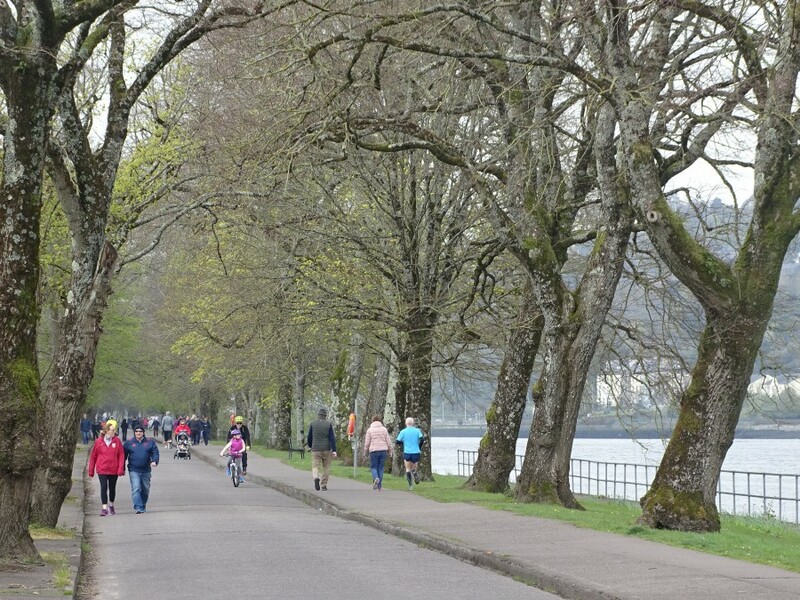 Many of these pedestrians are vulnerable road users such as primary school children and older residents. Cars travel through this busy junction every day without slowing down. 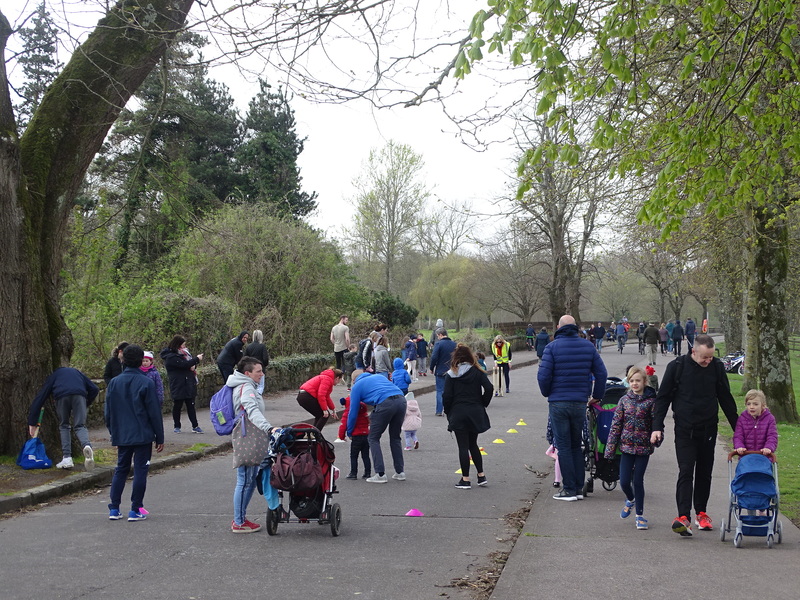 This is effectively the heart of Ballinlough village and a hub for pedestrians and the fact that children and older people cannot safely cross reduces their quality of life (Cllr Kieran McCarthy). 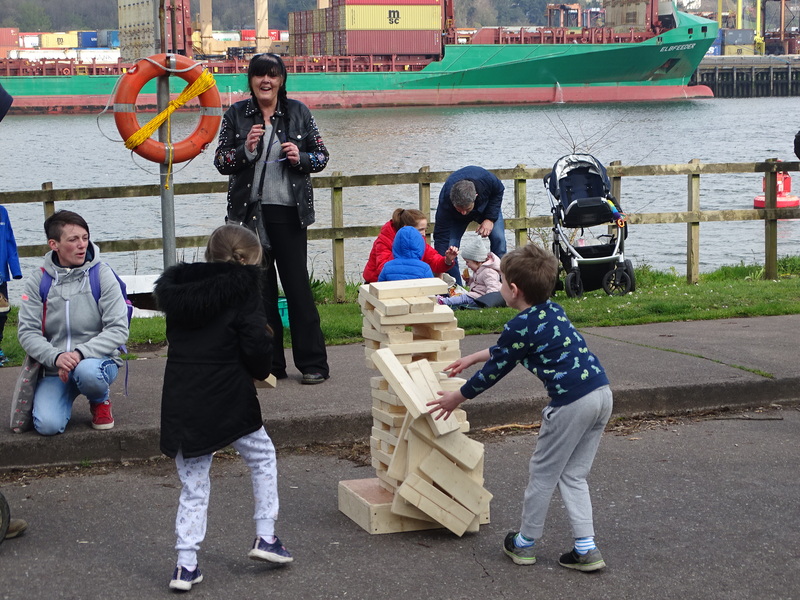 Delighted to co-fund the closure of Cork’s Marina for Cork Lifelong Learning Festival’s opening day – thanks to Cork Healthy Cities & Ballintemple Resident’s Association. 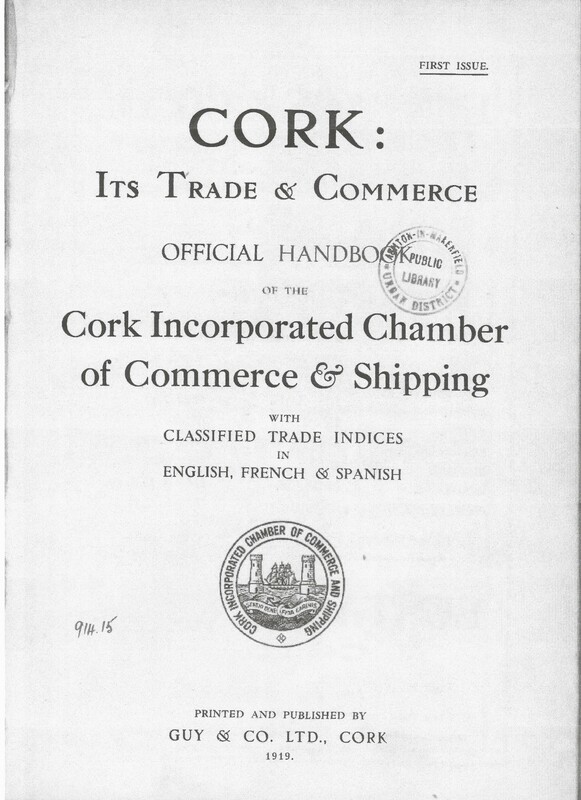 Cork: Its Trade and Commerce was the official handbook of the Cork Incorporated Chamber of Commerce and Shipping and was published by Guy & Co. in early April 1919. It was edited and compiled by D J Coakley, then Principal of Cork Municipal School of Commerce. It is available in local studies in Cork City Library. One hundred years ago, the first edition of the Commercial Handbook, aspired to show in a concise form “the commercial and industrial facilities – which the City and surrounding districts offered, to focus attention on our Commerce and Industry, and to give reliable information to those seeking locations. for new works or the extension of existing ones”. By means of this guide the Chamber had for the first time a complete and accurate survey of the past history and present position of the commerce and industries of Cork, as well as a valuable critique into their future possibilities. The Trade Index was in English, French, and Spanish, and the book was liberally illustrated throughout. Copies were distributed in the United Kingdom, the Colonies, the Continent, and America. Established in 1819 Cork Chamber of Commerce has consistently led a mission to be the leading business organisation in the Cork region. For two hundred years, it has committed itself to ensure the city and region’s prosperity, vibrancy and competitiveness through sustainable development. Researching the history of the institution through the rich archival material that has survived, every broad period of growth and decline has empowered the institution to carry on to challenge and resolve the issues of the day. The contribution has been immense. Established in an economic decline and as a champion of Catholic Emancipation, the Chamber emerged not only to provide a physical space where its members could come and read the up todate news of the day and plan for the future, but also to challenge the status quo. It grew rapidly from 1819 to the Great Famine years campaigning for more rights for the Catholic merchant middle class and more investment opportunities. Post the Irish Great Famine, the economic decline that followed led to the emergence of new forms of party politics being connected with the Chamber. 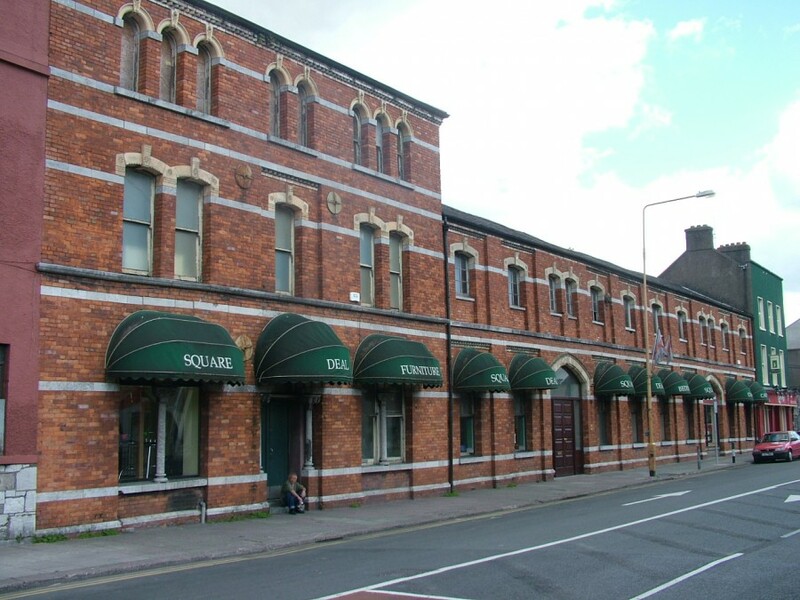 The quest for Home Rule and the Irish National Land League campaign split the membership in the 1880s with the Incorporated Chamber of Commerce and Shipping appearing on the commercial landscape of the city. The city now had two chambers that pursed issues such as the need for better and quicker transport modes and more business education. Both of these core issues led the Chambers to the era of the First World War, where once again economic decline ensued. There was a distinct shortage of labour as many Irish labourers went out to fight the war. In 1916, regular commentary is given in the minute books of both chambers to the arrival and potential of the Ford company in Cork. The choosing of Cork was deemed important to be a calling card to attract future private investment. 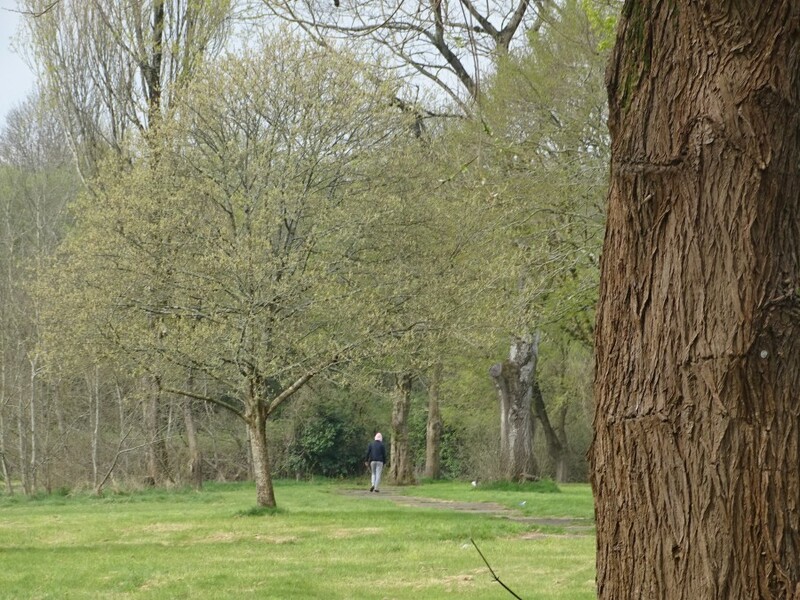 In November 1916, Fords made an offer to purchase the freehold of the Cork Park Grounds and considerable land adjoining the river near the Marina. Fords, Cork Corporation and the Harbour Commissioners entered into formal negotiations with the Chambers of Commerce as key supporters. During and up to the early years of the twentieth century the two chambers campaigned for berths to be deepened at low water to keep all shipping afloat at lowest tides. Wharves and deep-water quays were built and berths were deepened. 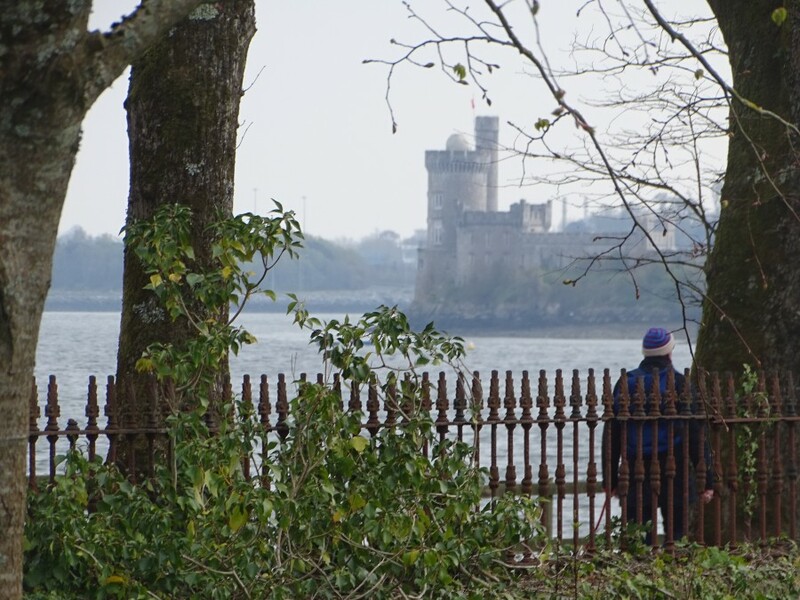 In 1919 the Cork Harbour Commissioners acquired from the Board of Trade 153 acres of slobland at Tivoli for the purpose of pumping dredged material ashore, thus creating new land for industrial purposes. This happened over several decades. Across the newspapers of Spring and Autumn 1918, references are regularly made of subscriptions being made to the Cork Sailors’ Widows and Orphans Fund. It was established to consider the impact on families who lost their breadwinners on torpedoed vessels and to relieve a large number of cases of distress among deserving widows and orphans. Ninety-six lives were lost on the six Cork steamers and applications for relief from the fund were received for 95 households. A sub-committee of key merchants in the city was set up on 5 April 1918 and by late September it had held ten meetings. The committee was championed by Bishop Daniel Cohalan of Cork, Bishop Charles Cork of Cork, Cloyne and Ross, Lord Mayor T C Butterfield, A R MacMullen, President of the Cork Incorporated Chamber of Commerce and Shipping, Ebenezer Pike. Pike was Chairman of the City of Cork Steam Packet Company. Other members of the Incorporated Chamber were also involved, Sir Stanley Harrington, Samuel H Newsom and Thomas Barry Lillis, General Manager of Munster and Leinster Bank. The social and political unrest of the Irish War of Independence, which characterised the year 1920, was referred to in the 1921 Chamber report. Large areas were cut off from communication with Cork by rail owing to-the shutting down of portions of the railway system, by the military, authorities during the early part of the year, and. through the closing down of the Cork and Bandon, and Cork and Macroom systems, owing to strike, towards the close of the year. 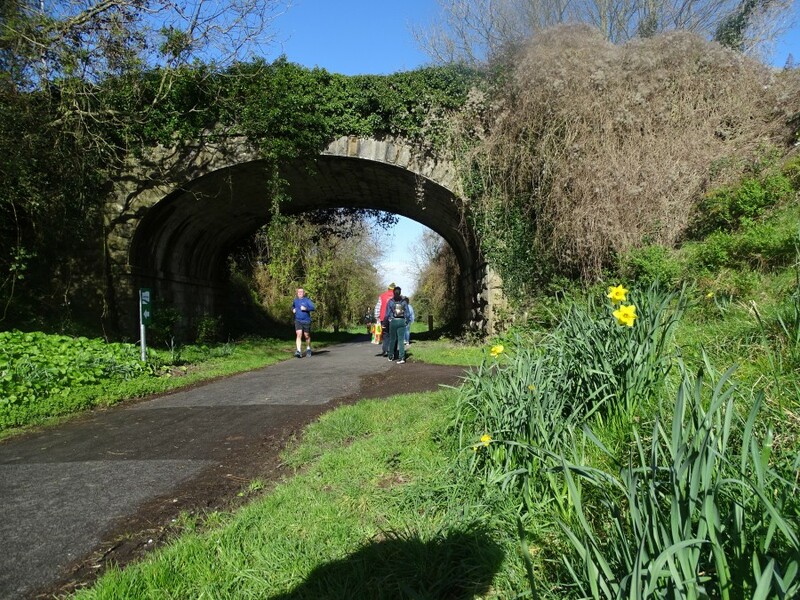 In June, the Cork, Blackrock and Passage Railway was closed by the military, and was shut down nearly four weeks. 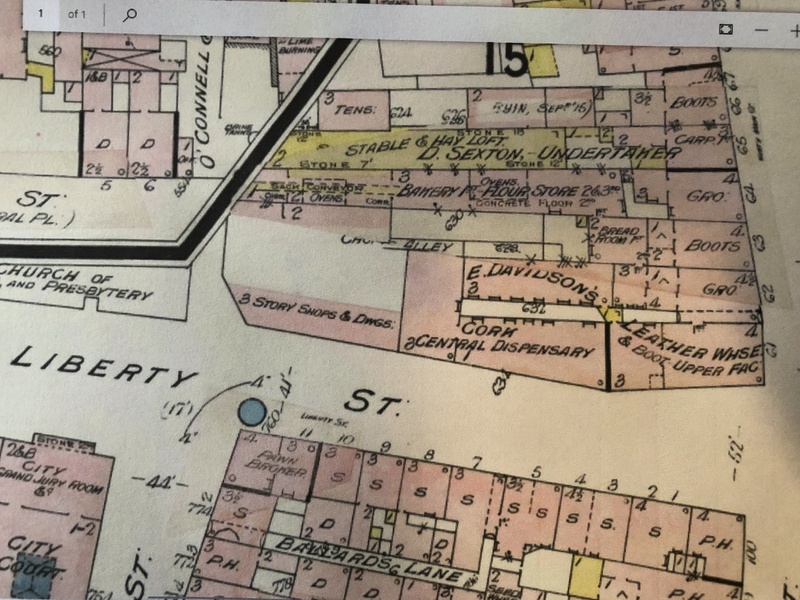 In the months and years that followed the Burning of Cork in 1920 both the Incorporated and general Chamber advocated for timely reconstruction on St Patrick’s Street, cheaper rates to alleviate business and appropriate re-valuations of property for businesses, who rebuilt their premises and trade. 991a. Front cover page of Cork: Its Trade and Commerce, published April 1919 (source: Cork City Library). 991b. 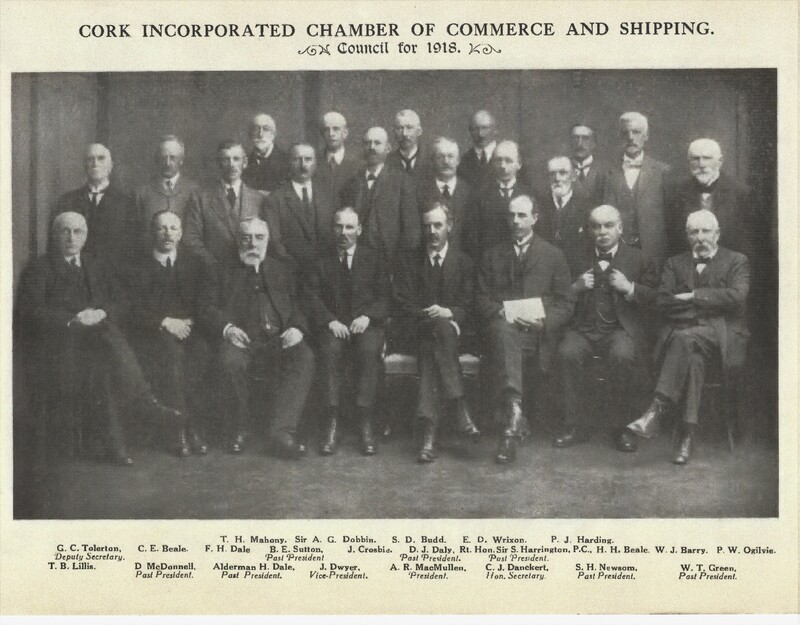 Council, Cork Incorporated Chamber of Commerce, 1918 as published in Cork: Its Trade and Commerce, 1919 (source: Cork City Library). AUDITIONS SUNDAY 28th APRIL 10am-4pm Old Cork Waterworks, LEE ROAD. FREE ENTRY event for Primary and Secondary school children. No advance booking required, simply turn up on the day to audition. This is the eleventh year of Cllr Kieran McCarthy’s Community Talent Competition in Cork city, the auditions for the FREE ENTRY arts participation event take place Sunday 28th April, 10am-4pm at the site of the Old Cork Waterworks Experience, Lee Road, with call-backs the same day. A Cork performance arts project for young people with no entry fees, where all talents are valid for consideration. The final takes place at Firkin Crane, Saturday 4th May, 7.30pm, open to the public; Tickets €10, Family of 4 Ticket €35. If they get through the auditions, this community spirited operation involves volunteer professional performance coaches who take the contestants through boot camp and rehearsals before they meet the final judges, and each year sees talented dancers, vocalists, rap artists, bands, duets, magicians, dancers and actors in the line-up. 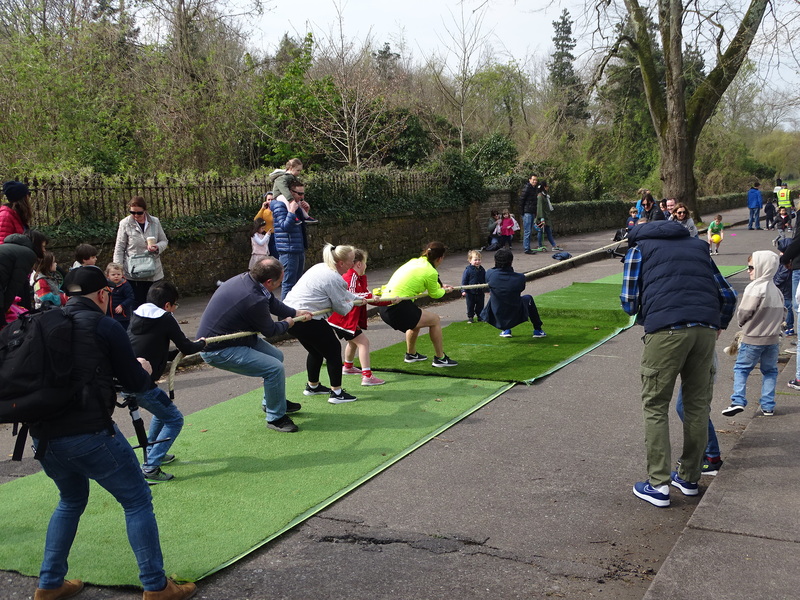 However, as all talents are valid in this fun-filled community event, it has seen a wide variety of talent through the years such as gymnastics, speed cups, martials arts set to music, newly written children’s plays and so much more. AUDITIONS McCarthy’s Community Talent Competition. 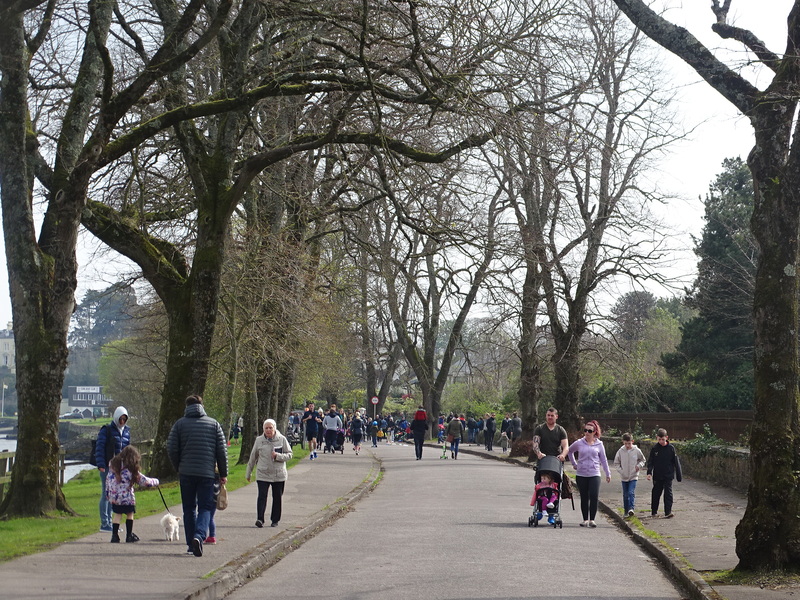 Venue: Old Cork Waterworks Experience, Lee Road. DATE: Sunday 28th April Time: 10am-4pm. FREE ENTRY!